Come Karwa Chauth and market seems flooded with married ladies buying the essentials for the toughest fast! Karwa Chauth one of India’s traditional festivals is said to be the stern fast for married Indian women. Many women observe a daylong fast even without taking a drop of water, but for what? For the sake of their husband’s long life, prosperity, success and wellbeing! This celebration is synonym of a wife’s selfless love, loyalty, integrity and commitment towards her better-half. This festival is related to the popular yet ancient fable of Savitri and Satyavan. It is said that Savitri snatched her husband’s soul from the Deity of Death- Yamaraaj by due determination and shrewdness. In return of the stern fast observed by wives for the longevity of their husbands, men show their love by buying Karwa Chauth gifts for wife. Karwa Chauth gifts for wife means anything symbolic to her married status or something which she may find enjoyable in today’s scenario. Karwa Chauth gifts for wife may contain items like bangles, jewelry, saree, accessories or other items. 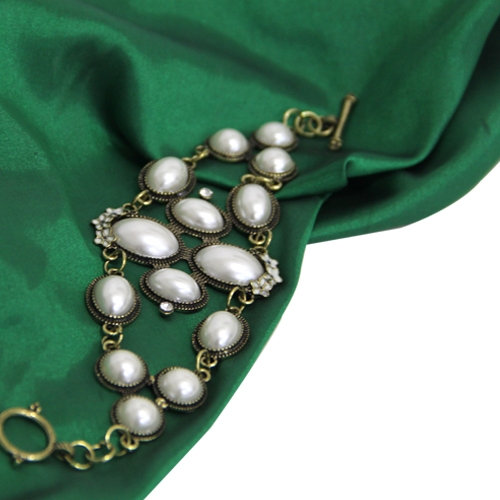 Here GiftaLove suggests you some most popular gifts for wife on Karwa Chauth. Take a look…..
Karwa Chauth Hampers: Gift hampers for this festival are attractive as well as affordable treat for shoppers. 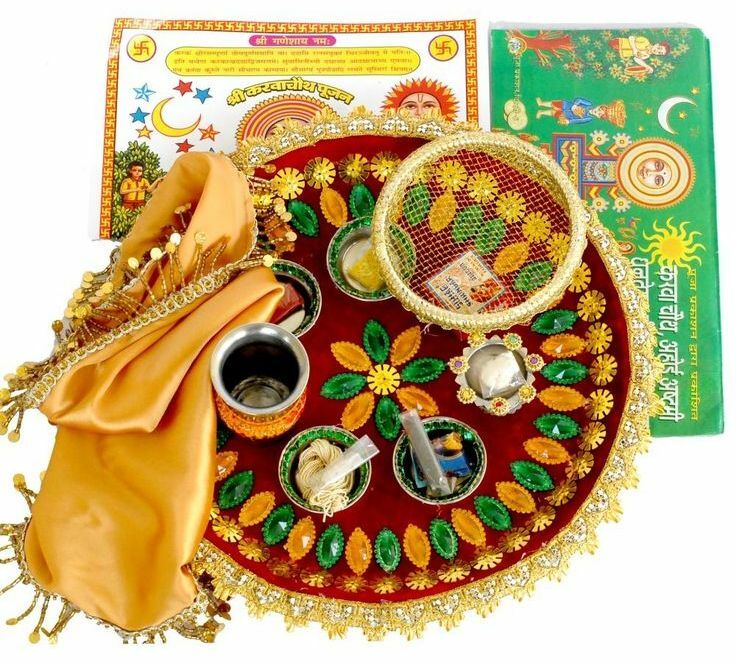 Hampers for Karwa Chauth may contain cookies, soft toy, dry fruits, puja thali, jewelry, sweets and so forth. 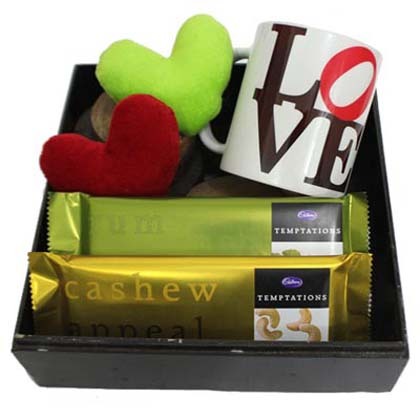 Based on your preference you may choose from different types of gift hampers with assorted goodies contained in them. Karwa Chauth Thali: An ornamental thali may include all the essentials symbolic to a married woman like roli, kumkum, henna, etc. It may also include a karwa chauth book or calendar. A Karwa chauth thali may also be easy on your pockets. But if you want something which would be different opt for metallic thalis decked with many other goodies. Karwa Chauth Jewelry: The best bet for your wife would be a piece of jewelry as Karwa Chauth gift. Pamper her on this special day for the dedication that she has been showing since she got married to you. We have an exclusive yet wide assortment of jewellery for wife to choose from like necklace, pendant sets, bangles, bracelets, earrings, and more. Apart from above listed gifts you can also buy Karwa Chauth gifts like sweets, chocolates, flowers, cakes, or take her out for a lavish dinner using a gift voucher or gift certificate of a known restaurant. Gifts that you give on this day are an emissary of special bond that you have been sharing since your marriage with her. Karwa Chauth gifts(karwachauth.giftalove.com) chosen with sheer love, care and affection are really a thing to be relished forever!